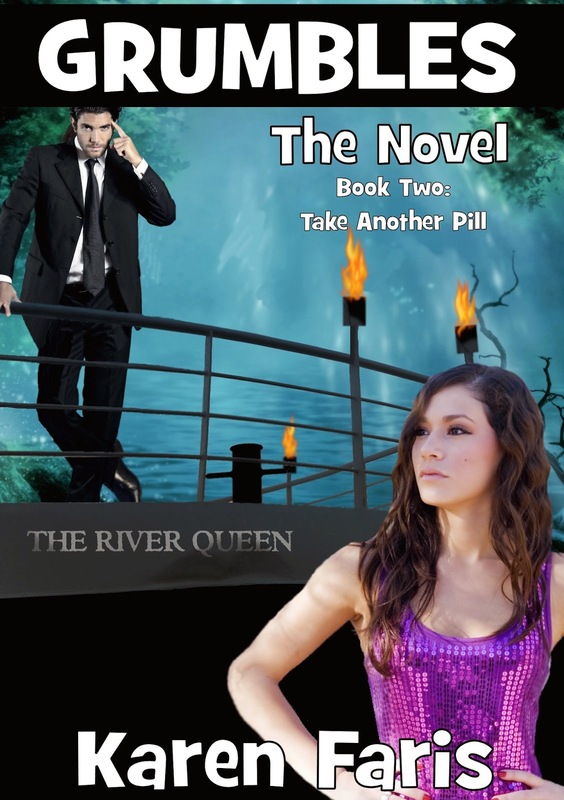 It is with great pleasure that I share with you this exciting news The Fabulous Karen Faris’s ‘Take Another Pill’ has been released and is now available to buy at Smashwords and Amazon. Click on the links to be redirected to view. 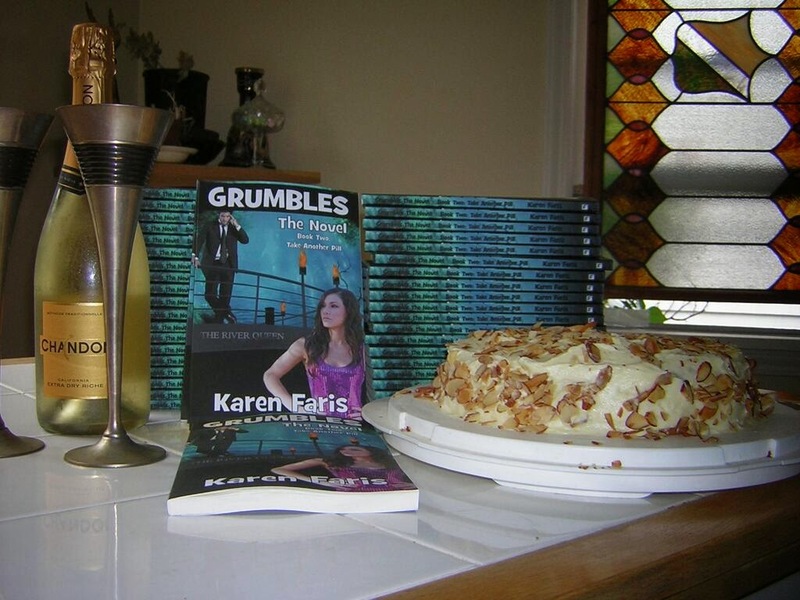 You have all been invited by Royal appointment to the virtual launch party of Karen Faris's second book in the Grumbles Series 'Take Another Pill' it's time to pull on your best party frock and lets sync our IPod's then pop open the bubbly and slice the cake ready for the games to begin. 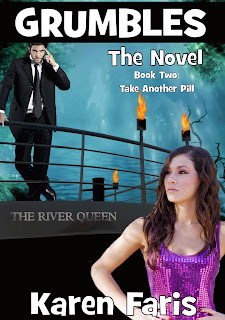 Have you ever had that aching feeling in your tummy that something bad is about to happen? Pettie Grumbles and the adorable little Toga continue on their mission to save the world from the heinous weatherman. ‘Take Another Pill’ is packed with all the action and excitement of book one of the Grumbles series ‘Take A Pill’ without losing any of the comedy value or the climate change message that this Remarkable lady has to offer. The trip to Montreal is filled with amazing wonders as Pettie Grumbles comes across such futuristic marvels such as men ‘Hosting’ babies, Mad cows diseases and of course antibiotic dog slaver. 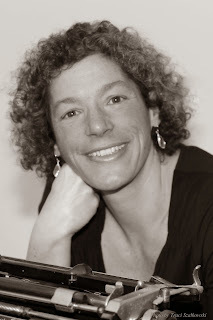 You can’t help but smile and laugh out loud at Pettie as you are pulled into this rather scary future earth that has been mutated by climate change as she juggles Secret agent business and her agony aunt column along with fighting the growing maternal urge to protect Toga and his dog Emma. Petite soon starts to realise that Toga has become the centre of the Evil Weatherman’s kidnap mission. But with very little to go on will she be able to uncover the boy’s true identity before it’s too late? Join Pettie and Toga on their journey and meet some truly marvellous characters such as Captain Dragwood, Jacqui, Trollman and Renata. If you haven’t done so already I would seriously add this series of books to your summer reading list. Easy to read this series is gripping and filled with humour with each page turn. Go on treat yourself.